das Paar Alte Schule is painted in various shades of brown, moss green, blue and white colours. In the pictures you will find the colour scheme shown by the manufacturer. If you like knitting colourful socks and want to make them identical das Paar will be perfect yarn for you. Translated from German das Paar means “the pair”. Each 100g skein consists of two 50g skeins wound separately from the same starting point so that both of your socks will match exactly. 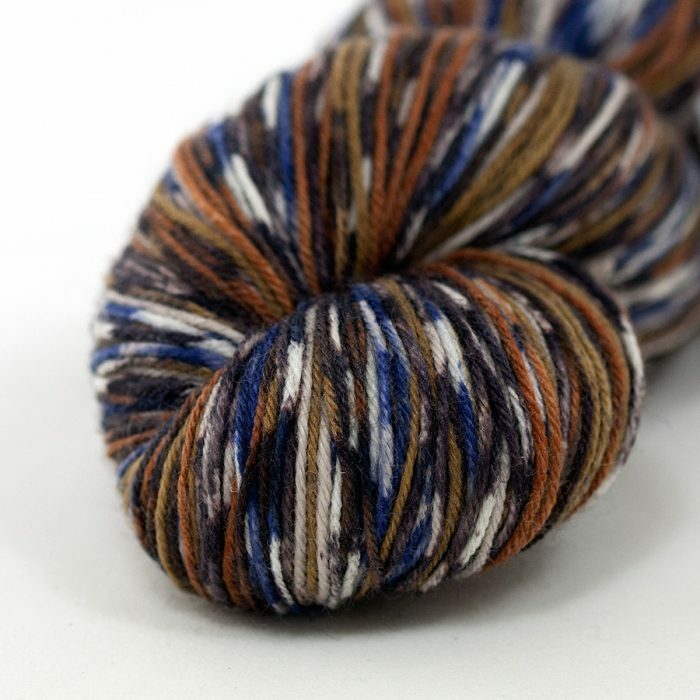 This beautiful yarn works up into lovely multi-coloured irregular stripes. Please wind the yarn into balls before knitting and start with the knot. One skein is enough to make a pair of socks. The blend of 75% Superwash Virgin Wool from Patagonia and 25% Polyamide makes it perfect for socks but it is also suitable for shawls, scarfs, hats, mittens and other knits. Schoppel Wolle company is proud of their yarn brand. Fast-changing product assortments are not their thing. That’s why this company is investing in quality. Sustainability and taking responsibility are the main values. They use raw wool from Patagonia where the climate is harsh, animals enjoy life in harmony with nature and are not raised on factory farms using mass production methods. 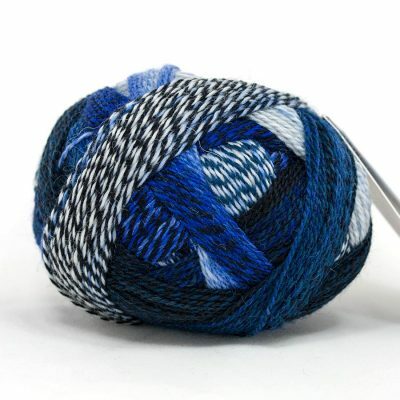 Consistent level of quality and passion for yarn ensures huge popularity in the knitters world. You can visit our blog or knitters community site called Ravelry to find more knitting ideas. More yarns from Schoppel Wolle you will find here.